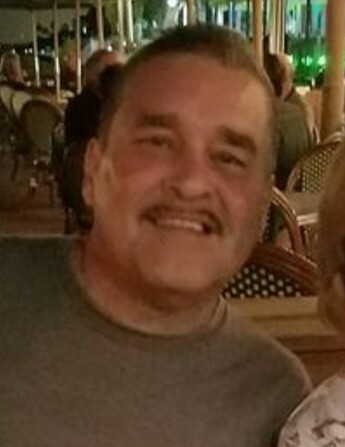 Antonio Cristobal Herrera "Tony" age 58, of Toledo, passed away Sunday, February 3, 2019 at St. Vincent Mercy Medical Center. Tony was born to Crisoforo and Julia (Chavira) Herrera July 20, 1960 in Oregon, Ohio. He graduated from Clay High School in 1978 and was a member of the Local 500 retiring after 35 years. Tony loved to fish and was always looking for the perfect fishing spot. He enjoyed hanging out in his garage supervising car repairs while playing or listening to music. He was a devoted family man, great father and made sure everyone had what they needed. Tony was known as the “fun tio”. Tony is survived by his loving wife of 34 years, Michelle; children, Antonio Jr. (Lindsey), Crisoforo (Mary), Sarah (Jacob), and Maria (Ryan); 16 grandchildren; brothers and sisters, Julian (Clara), Mary (Isameal), Lorenzo (Jan), Dolores (Carlos), Anita (Lee), Chrisoforo (Diana), Dahlia (Fernando), Fami (Jim), Rosalina, Rosario (Jerry) and many nieces and nephews. He was preceded in death by his parents and sister, Eva Herrera. Family and friends may visit the Freck Funeral Chapel, 1155 S. Wynn Rd in Oregon on Friday, February 8, 2019, from 12 noon until the time of service at 5 p.m. Memorial contributions can be made to the family through the funeral home website www.freckchapel.com.